Around this time last year, I was diagnosed with ADHD by my therapist. We’d been meeting regularly because I was having trouble with anxiety and feeling overwhelmed (among other things). One day, after I’d tearfully expressed my anxiety about all the things I had on my to-do list, she asked me what exactly was stressing me out to get a better idea of what we could do about it, together. I answered things like, ‘depositing checks at the bank, budgeting, remembering things, calling people back, booking (and making it to) doctor appointments,’ and other pretty standard adult tasks. With a furrowed brow she asked me to fill out an ADHD self-assessment that evening, and, what do you know, I scored very highly. Now, I have not been medically diagnosed, nor am I a doctor, so much of this post will be based on my own experience and knowledge about ADHD. That being said, learning that this might be the reason for my frequent forgetfulness, terrible procrastination, and constant feeling of overwhelm was mind-blowing. All my life, I felt as though people around me were speaking another language – which, since I grew up in Africa, Asia, and Europe, was actually the case a lot of the time! Still, I was always behind on assignments, always leaving things to the last minute, always forgetting something, and totally confused as to why I was the only one of my friends struggling like this. Most people associate ADHD with extreme hyperactivity and kids who should not be allowed to eat sugar (and I’ve met a lot of kids and adults like this), but ADHD is so much more complex than this. There are actually three main sub-types of ADHD (see more here), and even these are not cut in stone. I’m definitely in the inattentive type category, as I was not a hyper child, and I have been a (pretty) functioning adult. To be honest, I have no idea how I would have made it through school, college, and grad school without my mom, because she was so helpful in helping me get things done, be proactive, and not give up. That being said, I was probably a nightmare to be around for most of that time and trying to get me motivated must have been like trying to get a rock to move (sorry, mom!). The news that I might have ADHD was both extremely relieving, and at the same time, extremely upsetting. On the one hand, I felt like I finally had an explanation for my years of frustration with myself, thinking I was either lazy, stupid, or crazy. On the other, I also felt like now I had another ‘thing’ to work on, another problem with me. I started to look back at past experiences and feel so much regret and shame for things I had either done or said, most likely because of my ADHD. From little things (like barking at my family that the car was TOO COLD – super sensitivity) to big things (like losing a friend because I was too ‘lazy’ to call them back or show up when we had plans – forgetfulness). I decided to give myself a week to feel bad -to mourn, to wallow, to lament about my bad luck in being born with ADHD (how DARE you, parents?! ), and then get over it and move forward. And I did feel bad. I felt bad about the past, I worried about the future, I wondered if anyone could know by looking at me – very much the thoughts of someone who might have Diabetes or a similar disease – pretty optimistic, right? Through a lot of work with my therapist, however, I am beginning to no longer think of my ADHD as a disease. In fact, I see it as a gift. A friend with ADHD once told me, very wisely, that she thought of herself as ‘a superhero first discovering they have powers and not knowing how to use them properly’, and I LOVE this analogy. People with ADHD are creative, they are sensitive, they connect things in a way that others don’t, and they are very intuitive. 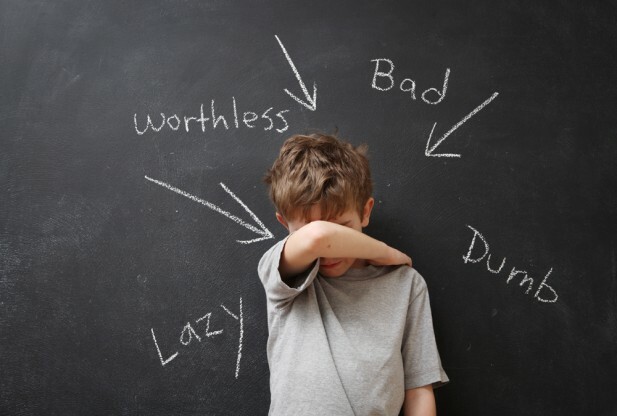 Yes, they are also forgetful, scatterbrained, and sometimes, annoying, but those things are only exacerbated when you see your ADHD as a crutch and allow yourself to feel shame for the way you are. This same friend calls this the ‘BS cycle‘, where first you blame your ADHD and then you shame yourself, and it is a toxic way to live. I’m not sure what possessed me to write this post, but I hope you enjoyed it nonetheless. I want to write another post about how I live and function with ADHD, because I have learned a lot of awesome tricks and tips to keep myself accountable and prevent missing appointments or meetings, but for now I think I’ll just start with this. If you only take away one things from this post, I hope it is that you never feel shame for something that makes you YOU. Growing up in a house where both my brother and mother had ADHD, I know an awful lot about it first hand. I was always embarrassed and protective my mom, why I didn't have school papers filled out, why I was the only child still waiting for their parent to pick them up hours after band practice, being too embarrassed that my mom forgot to pack any bedding or toiletries for leadership camp but instead sleeping huddled and cold on a bare mattress for a week and washing my hair with hand soap, etc. James and my mom had a million half finished projects around the house and were constantly starting more. I always felt like things were spiraling out of control around me, but they were things I had no say over and couldn't do anything about because I was only a child. Being an organization freak, my only response was to hole myself away in to my room and keep it as clean and controlled as possible. 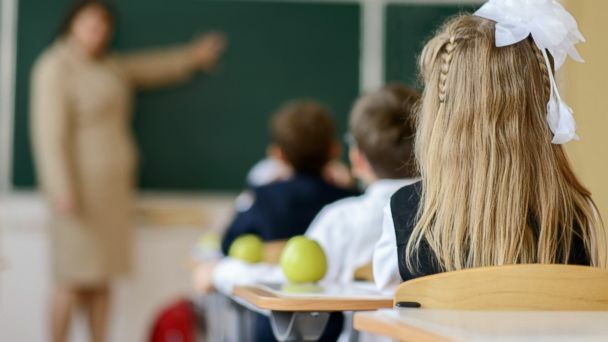 It was about when I started high school that they were diagnosed with ADHD and I learned to accept that it was an uncontrollable part of who they were. My mother didn't do any of it because she was neglectful or selfish, but because it truly slipped her mind. I now know that she beat herself up about it more than I could ever have. I began to forgive and accept all of the crazy scattered forgetfulness as much as I always admired her brilliant intelligence and creativity. People (especially her siblings and my sister) give my mom a lot of crap about her life and her short comings. Life isn't easy for people with ADHD, as people with it and their family members know, and being loving and understanding takes time. Surround yourself with people who celebrate everything that you are and good luck with your super powers! Thank you Lena for your post, and your openness in sharing this part of who you are. 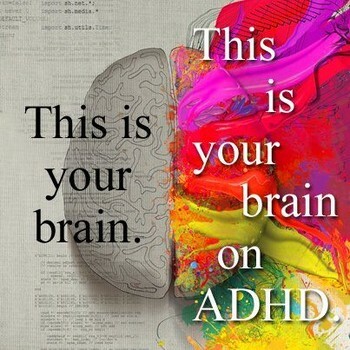 I am ADHD, something I have learned to manage by diet and coffee, the first part of which is thanks to a discovery by my mother and the latter I discovered on my own. I'm both shamed and blessed by Laura's comment! It's been a struggle all my life, and I've always felt that I was too lazy, absent-minded, and thoughtless for my kind, creative, and smart nature to ever come out. It must be my fault that I am in my 60s and unemployed and penniless and single. I always hoped I would have a life that supported me through my shortcomings, but I could not make that life happen. Medication has helped immensely, and I grit my teeth when I hear the common complaints about how we dope our kids instead of letting them be creative and on their own wave-length. Or that teachers are too lazy to deal with exuberant students, so they sedate them. While it may be true in some cases, these people just don't know! As much as my family may laugh, I try to use a number of “organizing” methods, but much of it comes down to last-minute, procrastination panic! Bless you Lena! I understand.